The Lope: "Zero-G and I Feel Fine"
Fifty years ago today, John Glenn became the first American to orbit the Earth. 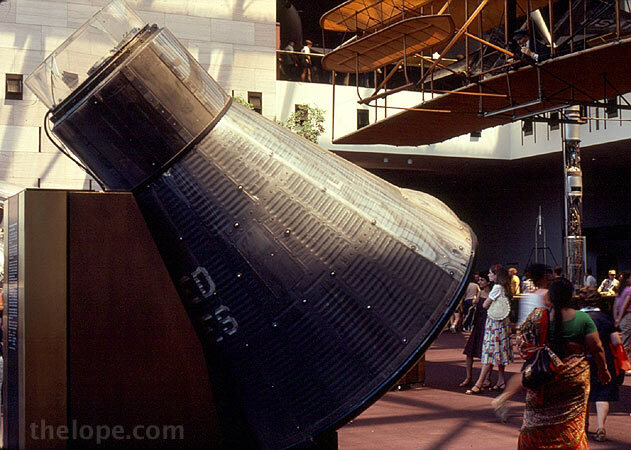 His Mercury capsule, named Friendship 7, now resides at the National Air and Space Museum in Washington DC, where I photographed it in 1981. The astronaut orbited three times around Earth, matching cosmonaut Yuri Gagarin who had orbited ten months earlier. Glenn, however, is not entirely happy these days and echoes the sentiments of many Americans: "It's unseemly to me that here we are, supposedly the world's greatest space-faring nation, and we don't even have a way to get back and forth to our own International Space Station." Read more here.